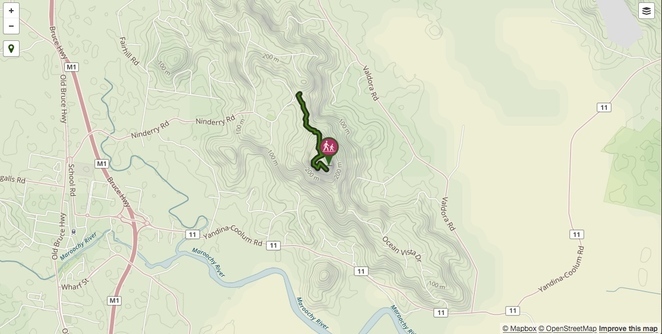 As my readers well know, I'm really not into the 'climbing the eight summits in a day challenge', or dedicating six months to an exercise training regimen, to ensure I can actually reach a summit, so suggesting a hike up Mt Ninderry to my adventurous other, was starting to sound, to me, like I may have bitten off more than what I can chew. Mt NInderry peeking out behind the trees - it doesn't look too tough, does it? I'm really into the circuitous routes - you might remember we did the Mt Tibrogargan Circuit in the Glasshouse Mountains. According to the legend, Tibrogargan was the father of all the other Glasshouse Mountains, except for Beerwah, who was his wife. But, that's a story for another day! You see how I'm prone to procrastination! Okay, first and foremost, we need to get to Mt Ninderry. 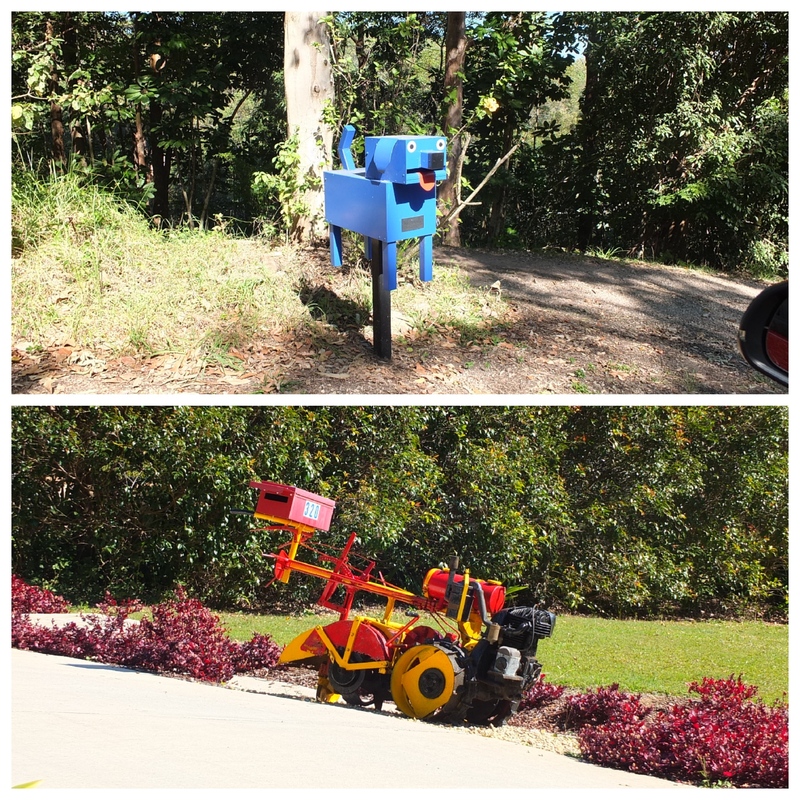 Mt Ninderry is in Ninderry, a suburb that is slightly east of Yandina (Day Out at The Ginger Factory) and to the west of Coolum Beach (Coolum Beach Public Art Trail). A traveller could think 'see a mountain, drive there, climb it'. Getting to Mt Ninderry is not quite that simplistic. Wannabe mountain climbers need to get onto the Bruce Highway. Turn off the Bruce Highway at Yandina and head west onto the Yandina Coolum Road, AWAY from the mountain - see what I mean! Carry on straight through the roundabout onto Coulson Road and then right along School Road at the railway line. At the end of the road turn right onto Ninderry Road, back over the highway and up the hill. Follow this road to Eucalyptus Circle and look for a cement drive, which goes up to Mt Ninderry's car park on the right. Hopefully the map above, to Mt Ninderry, will help clarify my directions. And, also just to make sure you're on the right 'track' I discovered that residents in the Ninderry area have a penchant for very unusual postboxes. Please look out for above postboxes and you will know you're definitely on the right road. 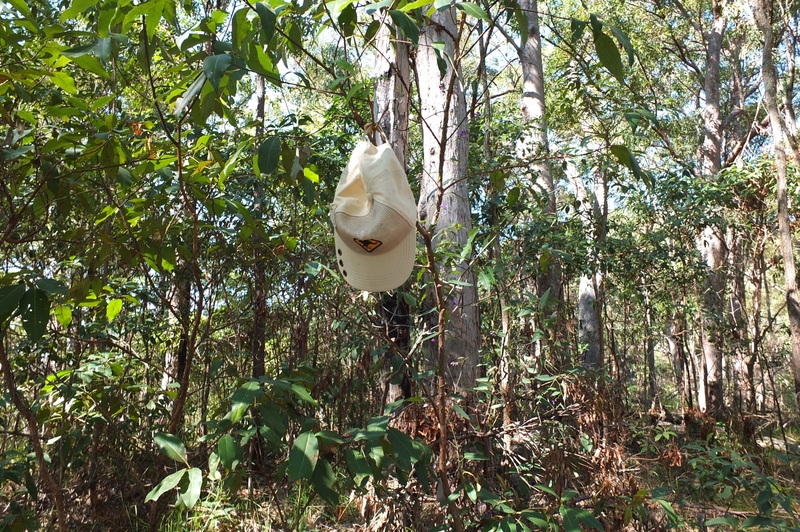 The Mt Ninderry Bushland Conservation Reserve encompasses an area of approximately one hundred and fifty hectares. The dominant geographic feature of this Conservation Reserve sits three hundred and four metres above sea level and is, of course, the summit of Mt Ninderry. Our goal for the day! Start of trail - what goes up, must come down! The Mt Ninderry summit trail is considered to be a Grade 3 Australian Walking Track, suitable for most ages and fitness levels. The summit trail ascends just over one hundred and thirty metres from the car park - how difficult can that be - and is a formed natural track with steep sections and steps. A lost cap? Or somebody leaving markers to find their way home? There are a few informal viewing spots en route to the summit, where one has to be attentive and cautious, as the cliff faces are not fenced. The Sunshine Coast Council have, as recently as 2017, constructed two main lookouts on Mt Ninderry - a western and an eastern lookout. 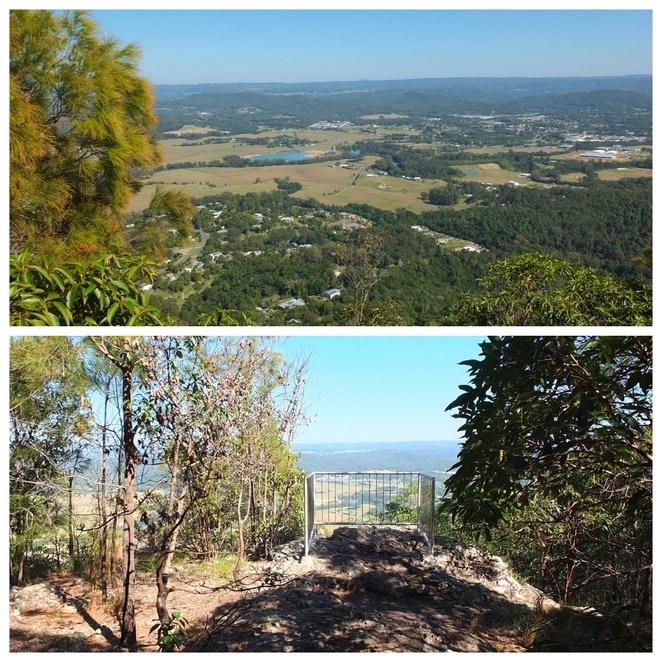 The western lookout has stunning views looking down over Yandina with the Blackall Range in the distance, whilst the eastern lookout is at the end of the summit walking trail and has sweeping ocean views towards Mt Coolum. Spectacular! I was very surprised to see that Mt Ninderry is quite the local attraction, with heaps of families out and about, enjoying the beautiful early Spring day. There are plenty of scenic locations throughout the hike, perfect for picnicking. Nothing like throwing down a blanket on a sun-baked rock with views forever. It's just that the picnic goodies need to be carried up and then back down again. The Mt Ninderry trail was a very enjoyable hike, even though the mountain was fairly steep and very rocky in some places. The fact that we passed many hikers with nearly new-born bubs in carriers and three year olds managing to walk the trail on their own, is an excellent indication of what sort of trail it is. Though in saying that, I'm not sure they walked all the way up and down, without assistance - the three year olds, that is! Energetic dog owner, taking her huskies for a bush outing - on leash! We came across many walkers with their beloved furry pals too, a sure sign that Mt Ninderry is doggy - on a leash - friendly too. This is a huge plus for dog lovers as there are not too many Conservation Reserves that permit our four-pawed family members. Please include some 'doggy do' bags on your hike, as there is nothing quite like standing on a mine dump, when you are trying to enjoy the view. According to the information board at the entry to Mt Ninderry the total walking time is three hours return and is 1.4km to the summit! I'm proud to announce that hubby and I hiked to the summit in exactly an hour from leaving the car park - water breaks and photo breaks for me, taken into account - and managed the descent in twenty-five minutes. Please bring your own drinking water - the 2nd image here is NOT a drinking fountain! All you need to tackle Mt Ninderry is a good pair of walking shoes, some drinking water, and, of course, a camera - those views are totally worth it! According to those in the know, Mt Ninderry is the easiest climb of all the summits on the Sunshine Coast. So, if you have future plans of becoming a summit king or queen, then Mt Ninderry would be a fantastic summit ice-breaker. You might even see me there, again!